Earlier reports of more substantive drug law reform in Argentina (see blog coverage / discussion here) are gathering pace, with the president and justice minister now calling for decriminalisation of drug users. 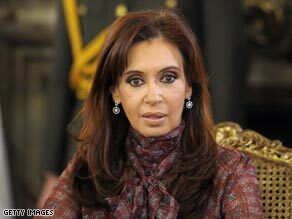 "I don't like it when people easily condemn someone who has an addiction as if he were a criminal, as if he were a person who should be persecuted,"
But in common with similar calls (and actual policy change) in much of South America and around the world, she caveats proposals for the decriminalisation of addiction and personal use with a call for a crack down on dealing and trafficking. 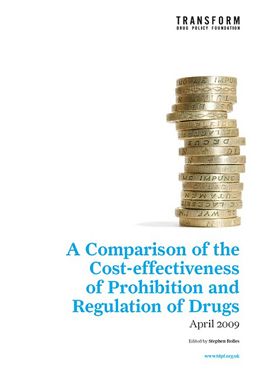 Typically the bigger debate around closing down the illegal trade altogether through moves towards legal regulation of production and supply is not approached directly but her call adds momentum to the growing decriminalisation trend and a shift in focus in world drug policy away from persecuting users and heavy handed enforcement, towards a more public health / treatment driven approach. "Decriminalization of the consumer should include what are called second-generation human rights, but at the same time there should be a strong policy of prevention, so that no one falls in the situation of consuming any substance,"
Again demonstrating how a position on decriminalising personal use is in no way incompatible with a strong prevention message or a moral view that drug use (specifically problematic use) is socially unacceptable. 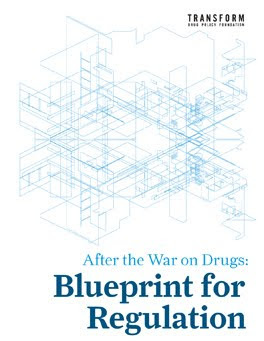 There is an important debate to be had around the utility and sustainability of decriminalising use but leaving supply in the hands of organised crime, but it has to be viewed as a positive step and a clear sign of a maturing and more rational approach - to drug users at least. The zero tolerance approaches of the absolutist drug-war discourse are clearly on the wane. It all makes the ridiculous 'get tough' posturing of most mainstream UK politicians look ever more remote from reality. "The evidence generally shows that the decriminalization of possession is not clearly associated with any increase in illicit drug use,"
"A few years ago, then-Mexican President Vicente Fox proposed decriminalizing possession of drugs combined with a crackdown on traffickers, but a harsh reaction from the Bush administration caused him to retreat"
"Brazil and Colombia have passed laws decriminalizing drug use in an effort to combat the spread of HIV among injecting drug users"
"Politicians recognize that you basically need to get those people out of the underground and into health systems,"